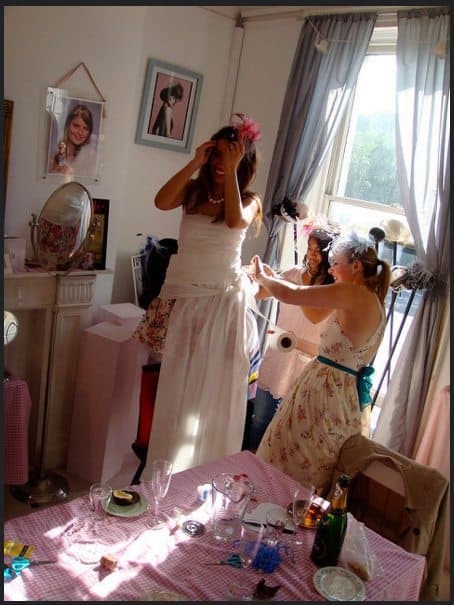 Hen Party Games are the prefect addition to a Glam Hatters hen party activity. 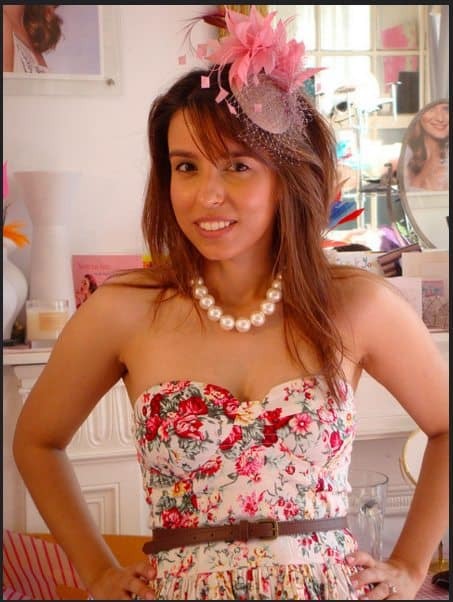 During our fascinator making workshops we have a break for vintage afternoon tea. This is the ideal time for a fun hen party game. Our hen party workshop break is about 20 minutes long so if you’d like to have a hen party game this is a lovely opportunity. I would recommend 7 minutes for the game. 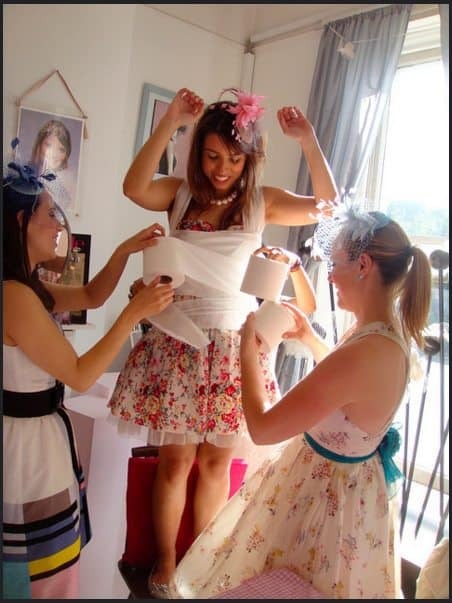 Here is one of my favourite hen party games played at Glam Hatters and it takes less than 7 minutes! 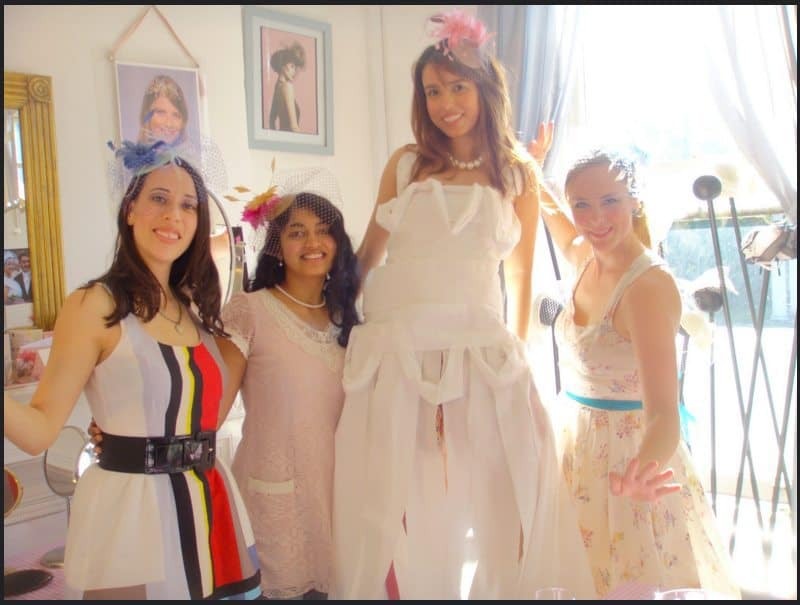 These lovely hens came to Glam Hatters back in 2011. When one of the hens opened up a bag of toilet roll I had no idea what was about to happen…. Hen Party Games are good in a double whammy kind of way. Firstly it gives the hens a little rest from sewing/choosing beautiful feathers or beads. Secondly, it gives the hens an opportunity to have a walk around the room and chat to each other. The lovely thing I’ve noticed about hen parties is it’s one of those nice occasions when friends of friends who have the bride in common get the chance to catch up. There will be uni friends who haven’t seen each other since the last reunion, long lost cousins and work colleagues who have moved to different companies. Everyone will want the opportunity to have a good old chin wag. There will also be new friends who perhaps don’t know many people at the hen party. At Glam Hatters they will have bonded with the other hens during the workshop over hat colour choices and chatted over tea. 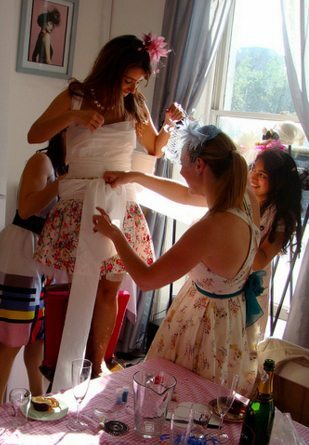 The toilet roll game is such a fun idea and works brilliantly as a hen party game. It doesn’t take any prep, brings everyone together and most importantly, it is fun for the bride! More hen party games coming to my blog post soon – and they are all games that we’ve seen at Glam hatters.